The Parish Council has secured more than £36,000 in grants towards the planned extension and remodelling of Pineholt Village Hall. This should enable us to start the building contract in the Spring of 2017, and the work should be completed four months later. 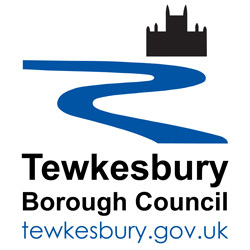 The grants have been awarded by Tewkesbury Borough Council and The Summerfield Trust; we are looking to secure more funding from other sources. The layout of the current facilities at Pineholt Village Hall is not well planned, so we cannot, at present, make the best use of the building. The provision of much larger storage areas in a position adjacent to the main village hall will make it much more practical for the various groups that currently use the hall, and should attract other organisations to use our facilities. The construction of new purpose-designed storage areas adjacent to the main hall, so that the current storage areas can be converted to create an additional room for community use. The construction of a new office space for the Parish Clerk, so that the existing office area can be converted to become an Information hub. An additional WC and kitchenette will also be created in this space, so that people using our current upstairs meeting room have access to toilet and refreshment facilities. Numerous smaller improvements will also be undertaken at the same time – for example the installation of automatic disabled-friendly entrance doors, updated fire and staff security arrangements, and the enlargement of the outdoor play space.